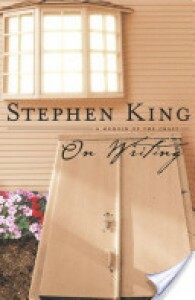 On Writing is at the top of my Stephen King book lists (maybe one day I'll compile my top 10 Stephen King books). This book has been so inspirational to me. Honestly, when I read it, I wanted to sit down and start typing out a novel, short story, and everything in-between. This book is a Stephen King answer to a memoir. He tells how he writes. He doesn't tell anyone how to write, he explains how he does to a point. Somewhat like a magician giving away a few magic tricks. Frankly, he gives some of his magic with the book. Luckily for us he has plenty to around. My only criticism of the book would be that he dwells a lot on being hit by the truck so many years ago. Though it is somewhat interesting to read about how he overcame that, I think that book could’ve done without that story. If you, or someone you know, is an up-and-coming writer, I would suggest this book. Learn from the master. Become inspired.